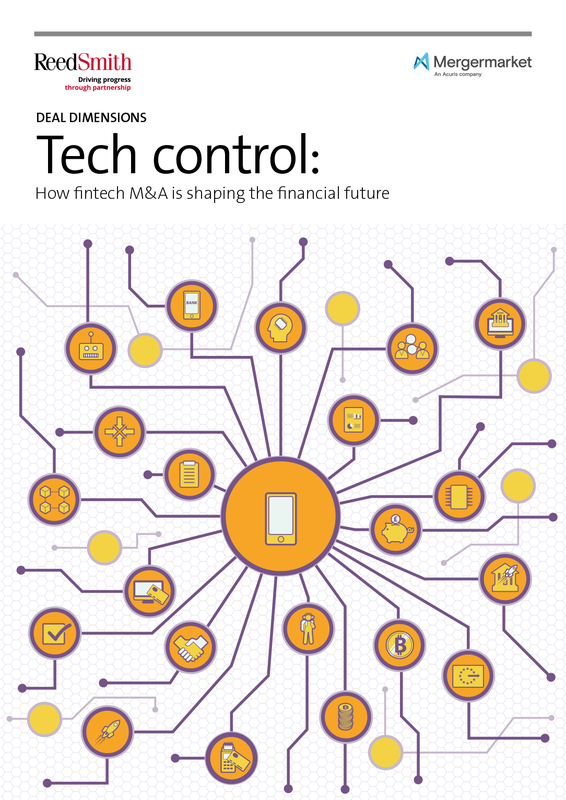 Mergermarket is pleased to present Tech control: How fintech M&A is shaping the financial future, published in association with Reed Smith. This report provides insights into the changing nature of the financial services sector within the context of increased technology and fintech innovations. Investment in fintech look set to increase, with 91% of fintech-focused VC/family office/PE investors and 94% of banks/financial institutions planning two or more acquisitions in the next 12 months. Three-quarters of banks (76%) and two-thirds of private equity, venture capital and family office investors (67%) anticipate a rise in fundraising for fintech firms over the next 12 months. The payments sector has led the way in fintech dealmaking over the past two years and looks set to continue. Other areas that have attracted investment include regulatory compliance software, data and analytics technologies and robo-advisory services. Challenges to fintech markets include the threat posed by Brexit for UK investors, lack of technical knowledge among businesses and fierce competition for targets.